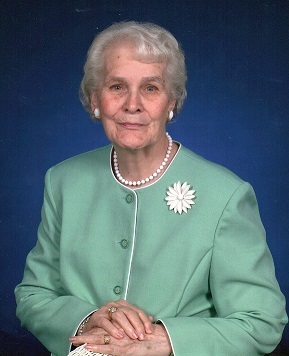 ZEBULON – Mildred Hagwood Whitley, age 90, resident at Zebulon Rehabilitation Center and formally of 8429 Cunningham Rd, Zebulon, went home to be with Jesus on Saturday, April 6th after a period of declining health. She loved her church family, working in her yard and her independence. Mildred was preceded in death by her husband, Henderson Uriah Whitley, sister, Geraldine Morris and brother, Charles Hagwood. She is survived by her son, Mark Whitley and wife Teresa, granddaughter, Kristy Adams and husband Jeremy, precious great granddaughter, Kamdyn, sisters, Barbara Carlyle, Pauline Carroll and Patsy Creech (Wayne) all of Zebulon, brother, Tommy Hagwood of Raleigh and numerous nieces and nephews. Funeral service, 2pm, Tuesday, April 9th at Union Chapel Baptist Church, 2437 Zebulon Road, with burial to follow in the church cemetery. Visitation will take place, 1 – 1:45pm, prior to the service. A very special heartfelt thank you to the staff at Zebulon Rehabilitation Center and to Heartland Hospice. years at Theo. Davis Sons. She was a Christian so we know now she is in her heavenly home. My prayer is for all the family to be at peace at this time. Mark so sorry to hear of your loss. Remember the good times and the memories you have with her here on earth. The legacy she leaves behind knowing God is what she wanted all to know. Heaven is rejoicing another saint has entered. She was a very sweet person . Worked with her for years at Theo Davis & Sons. You are in our thoughts and prayers,may God comfort and give you peace today and the days ahead.